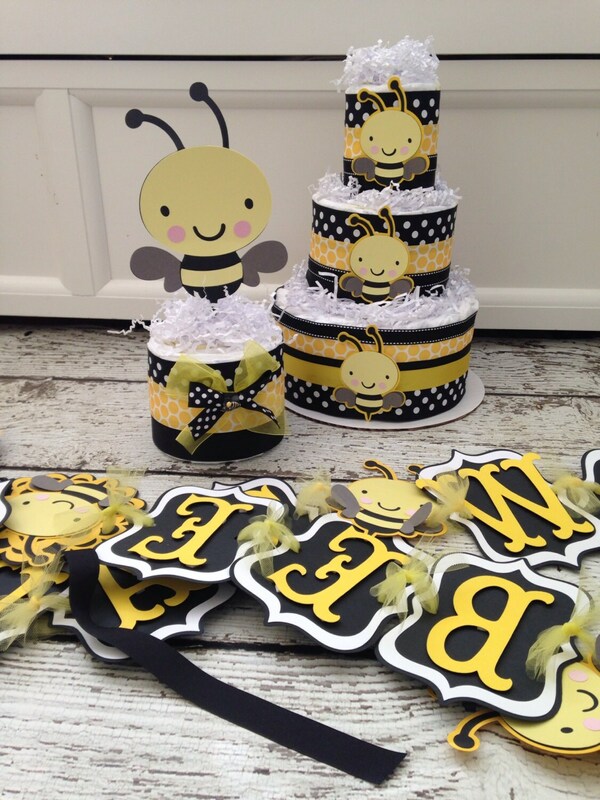 This Complete Bumble Bee Party in a Box is everything you need to throw the Bee Theme Baby Shower! 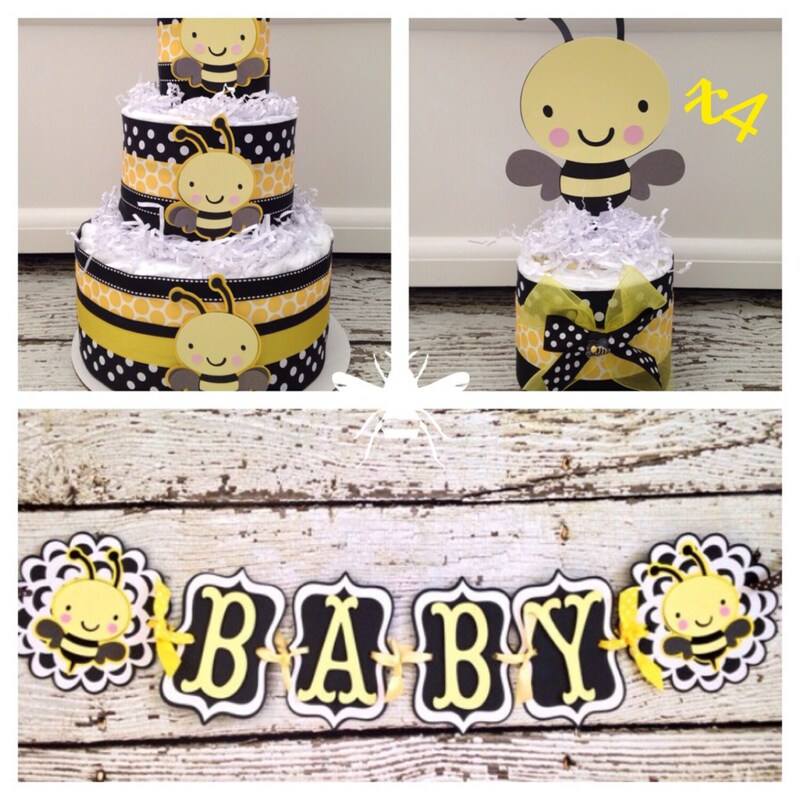 Includes One Bumble Bee 3 Tier Diaper Cake, Four Mini Bee Diaper Cake Centerpieces and One Bee Theme Baby Banner. Receive a total of $10.00 off original price if purchased separately and also the cost of shipping. Each scalloped letter die cut measures approx. 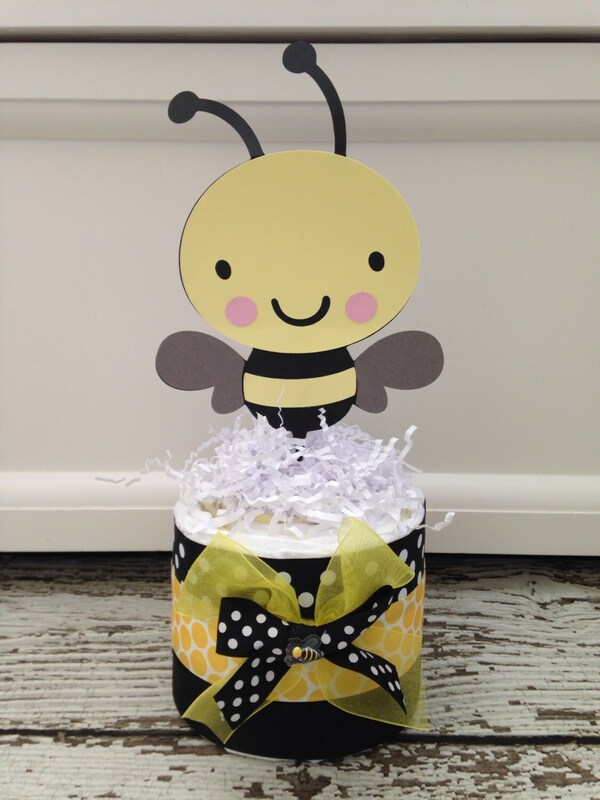 6" tall and is tied together with yellowe and black and white ribbons. Banner measures approx. 4 feet long. 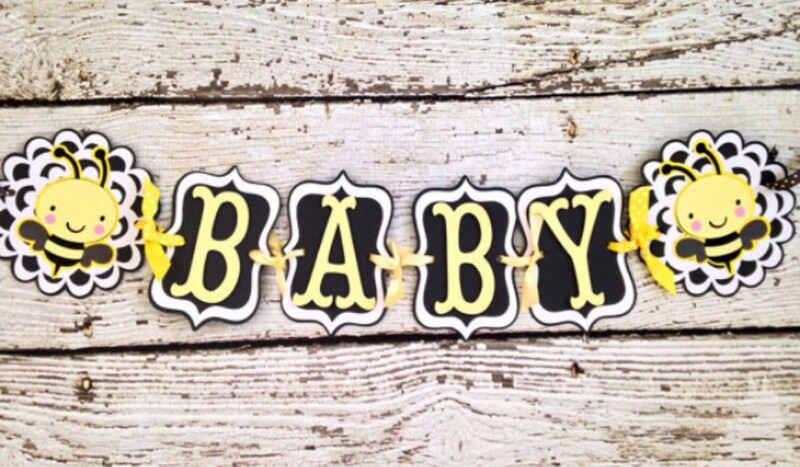 Each Scalloped Letter are embellished with 3D foam squares to add that high end pop! 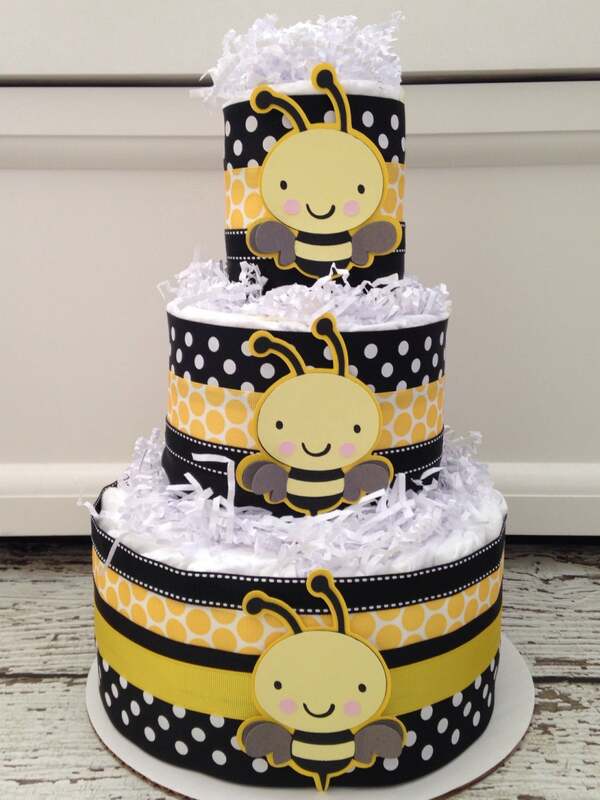 If you need additional toppers please send me a convo prior to checking out! !